If you’re working out of a public place or you’re regularly on the move with your MacBook, using an iPad is the most practical way of adding a second screen for productivity purposes. Unless, of course, you’re happy to carry a 27-inch monitor with you everywhere you go. If you have a permanent place of work, you should opt for an additional display that gives you plenty of extra real estate — one that offers a desktop-like experience. This will really enhance your working day. Before we show you how to add a second monitor, you need to make sure your system is prepared to handle it. Newer versions of the MacBook Pro and MacBook Air, particularly 2016 and 2017 Retina Display models, have been known to overheat when hooked up to an external display. Some users have reported temperatures of 60 degrees plus. An external monitor puts increased pressure on the GPU, which ramps up the internal temperature. The more you use your MacBook to multitask across two screens, the hotter it’s going to get. 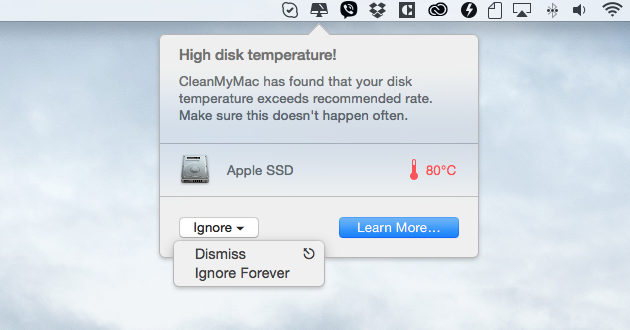 An overheating Mac doesn’t just result in sluggish performance, it’s dangerous for the overall health of the system. It features Health Alerts that automatically alert you when temperatures are higher than normal and when RAM is at capacity. It lets you clean up your system to remove junk files, freeing up disk space and easing the pressure on your GPU. Health Alerts takes care of itself, monitoring your system in the background and alerting you when it detects a problem. 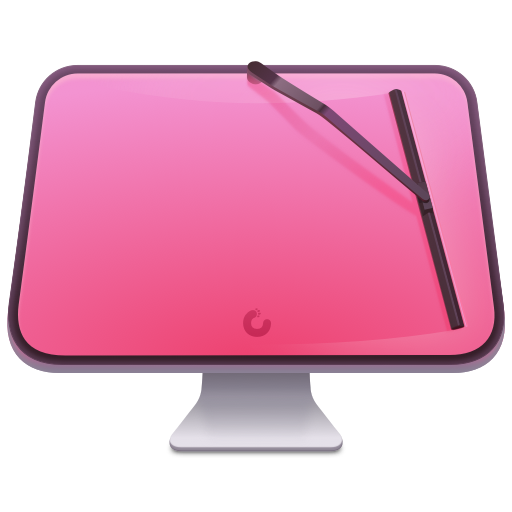 Download and launch CleanMyMac X (Download it for free here). Hit Scan and wait for CleanMyMac to show you how much space can be freed up. Hit Clean to remove junk files. 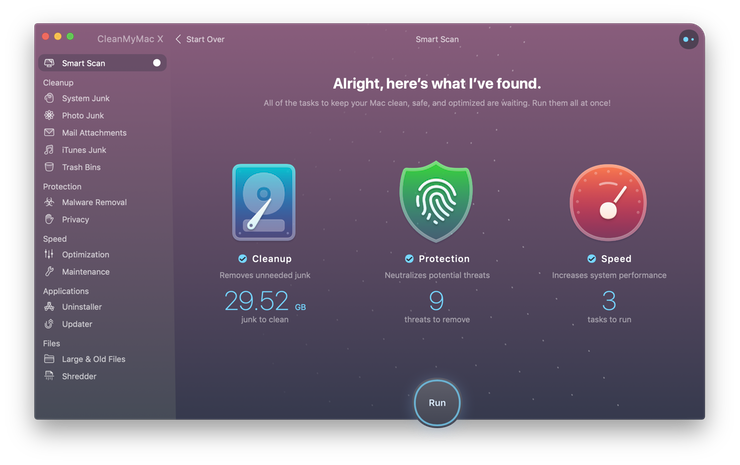 Run a Smart Cleanup occasionally to keep your MacBook in a healthy condition. With a 9.7-inch display, an iPad isn’t ever going to be as good as an actual monitor but it does offer convenience. It’s easy to carry around, doesn’t demand a great deal of desk space, and lets you make use of the touchscreen. Unfortunately, you can’t just plug in a cable and extend your display to your iPad. To make this work you need help from an app like Duet Display. While there other good apps available such as Air Display and iDisplay, Duet Display is the best choice for ease of use and reliability. There is a slight downside in the fact you’ll need to part with $9.99 to own it, but if you plan on regularly using your iPad as a second monitor it’s well worth it. 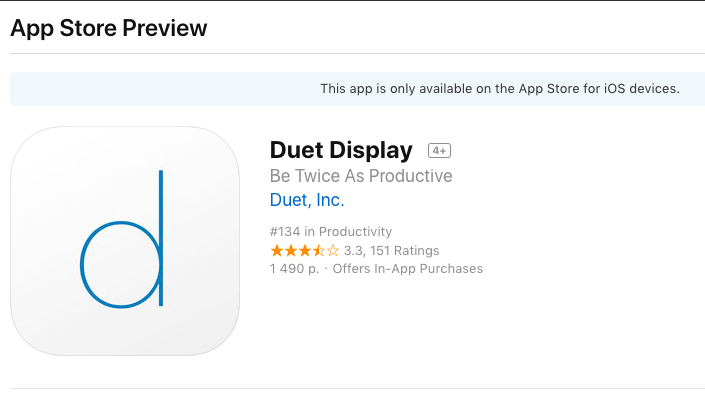 Download Duet Display from the App Store on your iPad and download it from the Duet Display website for your Mac. Run the installer to install the app on your Mac. Connect your iPad to your Mac and open Duet Display. Your display will now be extended across two screens. While this works best for iPad because of the size of its display, you can download and use the app on an iPhone too. Getting a double screen Mac operation up and running doesn’t require any additional software, you’ll be pleased to know. Depending on which type of MacBook you’re using, you’ll either be able to hook up a second screen via USB-C (Thunderbolt 3) to connect to an HDMI or VGA display or, if you have one, via the HDMI port. Note: If you’re purchasing a USB-C to HDMI or USB-C to VGA cable, make sure that it’s a genuine Apple product. Since the release of Sierra, many third-party adapters have stopped working. Connect the monitor to your MacBook and turn it on. Click on the Arrangement tab. 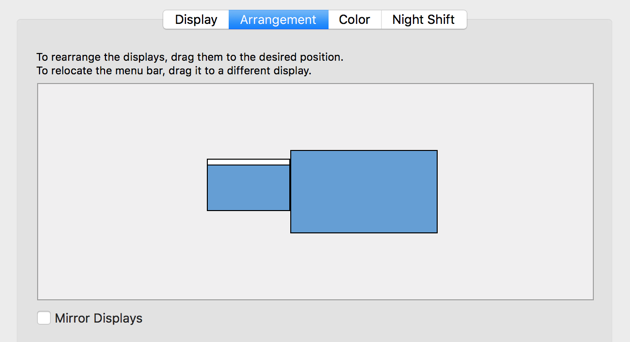 Arrange the blue boxes to position your external monitor in line with its location on your desk. The box with the white bar at the top represents your primary display. Drag the white bar over to the other box to change it. Mirroring projects your desktop onto another screen so that you can view the same display and perform the same actions across multiple monitors. This method doesn’t aid productivity like an extended display does but it’s great for viewing photos or watching videos on a big screen. Setting up mirroring is similar to connecting a second monitor. Select Mirror Displays from the bottom left corner. 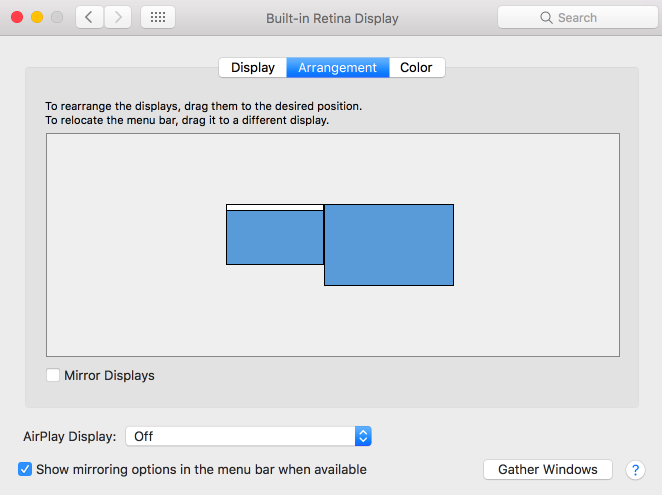 Select Show mirroring options in the menu bar when available. With mirroring, both blue boxes in the Arrangement tab will show the white bar at the top. This is because they’re both showing the same display. Whether you chose to use an iPad as a second monitor or hook up your Mac to multiple desktops through an external display, you’ll find that you’re able to get a lot more done than usual. But while you’re being all productive, don’t forget about the strain a second screen (even a small display like an iPad) puts on system resources. With an additional display connected, run CleanMyMac X in the background to monitor the health of your MacBook so that it doesn’t overheat or max out RAM usage.